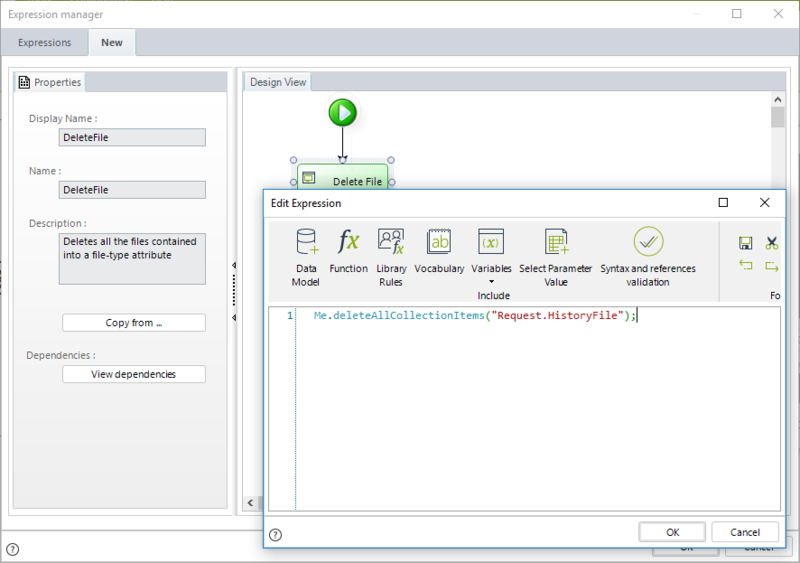 In Bizagi, you may delete the content of File-type attributes without an end user's intervention using an expression. For example, in a Loans Request Process the Process Entity is called Request. 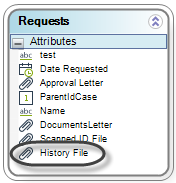 Assume in this entity there is a File-type attribute called HistoryFile that will store documents that are attached in several activities of the Process. Note this expression is similar to the ones used to delete records to a collection. This is because file-type attributes are treated as a collection of files, for this reason you can store many files in a single attribute.